We've done the homework so you don't have to. Collagen supplements have flooded shelves of grocery and health-food stores—and if you’ve been confused by which to try and trust, you’re not alone. 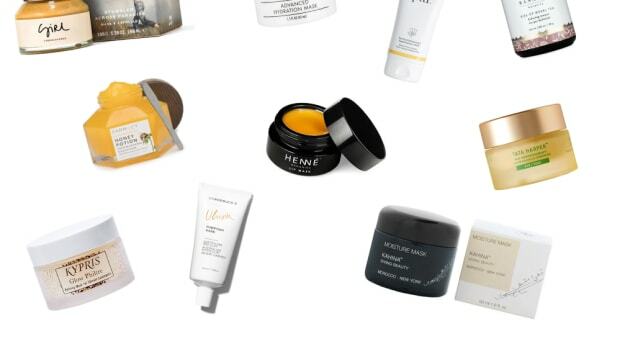 Even if you have Superman vision that can see through clever marketing and convincing promises, the sheer amount of collagen products out there can muddy your normally astute and discriminating decision-making. We did the due diligence to provide you peace of mind and separate the truly good from the copycats. Simply put, collagen is a type of protein found in your body. It’s important for skin and bone health, among other functions. 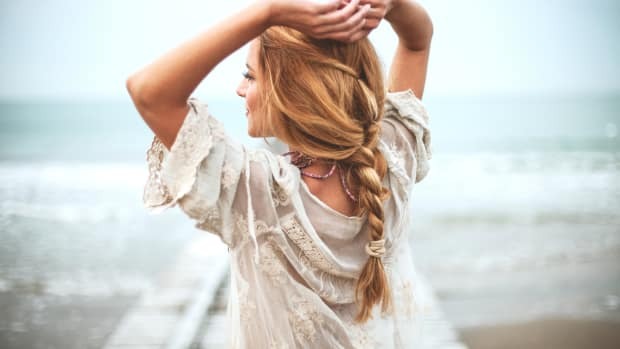 Collagen supplements come from animal sources, each of which bestows different benefits, and there are different types of collagen, Type I, II and II. You can read more about the different types in our article "This is Where Your Collagen Powder Comes From (Plus: Which Type is Best for You." Supplements most commonly come in powdered form and can be mixed into drinks such as coffee and smoothies. If you’re a vegan or a vegetarian, collagen may not be an option because it’s obviously an animal product, but that doesn’t mean you can’t enjoy the beauty benefits. 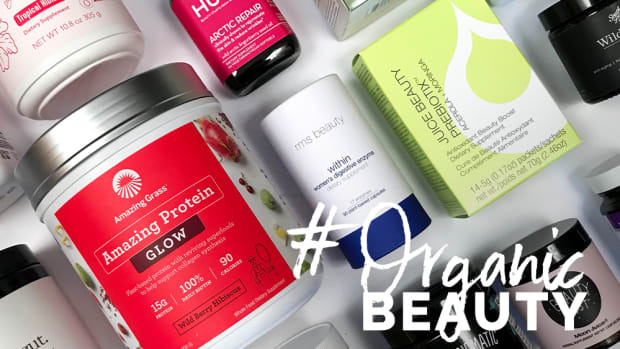 Our guide to Vegetarian Substitutes for Collagen has a listing of the best vegan tools for boosting collagen on the market. The Food and Drug Administration (FDA) considers collagen a dietary supplement—and the safety and effectiveness of dietary supplements are not regulated by the FDA. In other words, it’s up to the manufacturer to make sure their products are safe. The rules for marketing dietary supplements are fairly strict. Companies can make some general health claims about their products, but they must also print the disclaimer: “This statement has not been evaluated by the Food and Drug Administration. 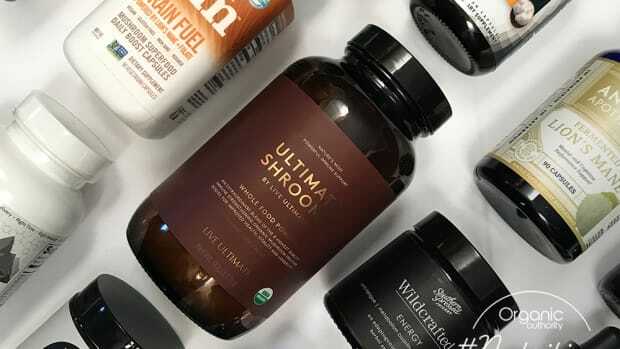 This product is not intended to diagnose, treat, cure or prevent any disease.” The FDA keeps tabs on supplements and how they’re marketed, taking legal action against those who make false claims or whose products are unsafe. When choosing any type of supplement, it’s crucial that the manufacturer hasn’t been reprimanded by the FDA for any of these violations. Before adding any type of supplement to your diet, it’s important to talk to your doctor or nutritionist. In the meantime, here’s what the current research has to say about the benefits of taking collagen. Many people take collagen for joint pain, especially pain associated with arthritis. A 2006 review of clinical research on collagen and joint pain stated: “A growing body of evidence provides a rationale for the use of collagen hydrolysate for patients with OA [osteoarthritis].” Another study on taking oral collagen was done on athletes at Penn State University. While taking a collagen supplement for 24 weeks, the athletes reported less joint pain. While these results are promising, more research is needed to provide conclusive evidence of the benefits of collagen for joint pain. Reducing wrinkles is another common reason for taking collagen. A 2014 study from the University of Kiel in Germany found that taking a specific collagen peptide orally helped reduce skin wrinkles. A small study also showed that collagen peptides can improve brittle nails. Some people take collagen for leaky gut, although there are no published studies showing this benefit. Overall, more research into oral collagen and its effect on the body is needed. 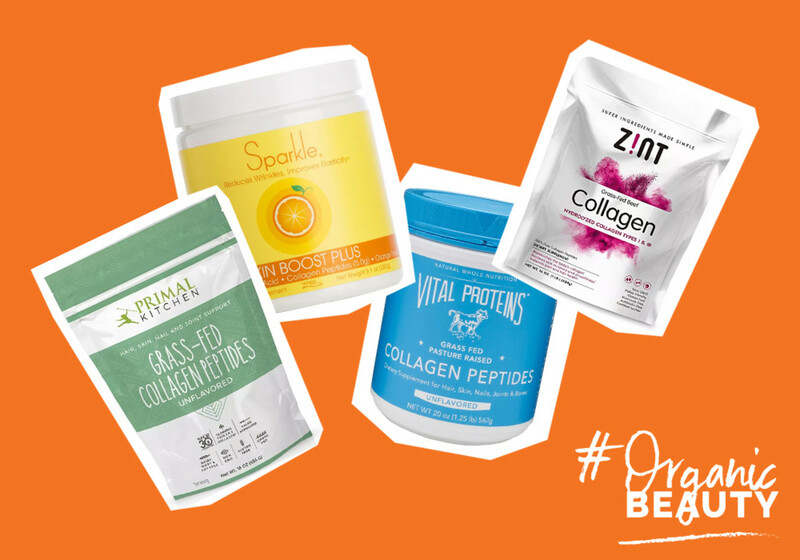 In order to recommend the best collagen supplements, we put some of the most popular brands to the test. Here’s how we chose the best supplements for you. We checked the FDA database. The FDA keeps records on the companies they reprimand for violations. We checked for third-party testing. Several different organizations offer third-party testing of supplements, including NSF, Consumer Labs, the non-GMO Project and BioChecked. We considered how and where the collagen was sourced. If necessary, we reached out to collagen supplement brands for more information about their products. We read reviews from real users like you. Here are the products that made our cut. Vital Proteins is one of the few manufacturers to earn a NSF certification as a Good Manufacturing Practices facility. 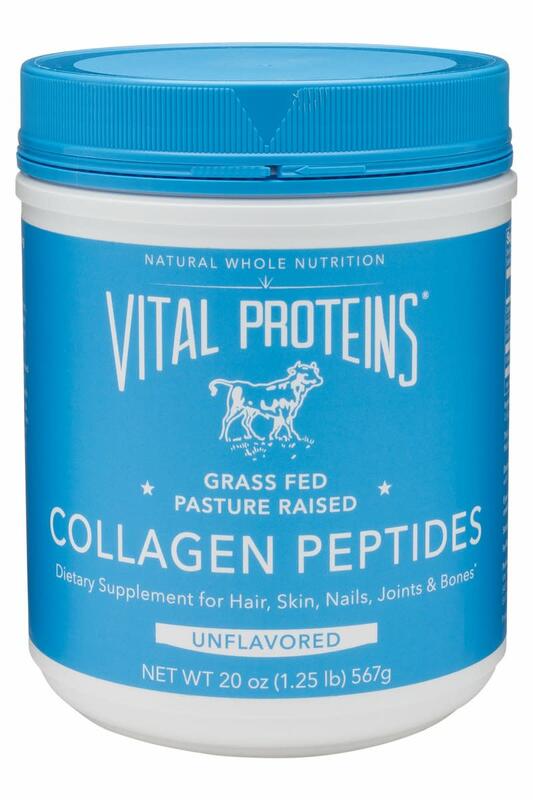 Their collagen peptides are sourced from the hide of Brazilian grass-fed, pasture raised cattle. Hides are a byproduct of the cattle industry, which means the cattle are first harvested for their meat. The hide is then used to source the collagen peptides. Vital Proteins’ Marine Collagen is sourced from red snapper scale from the South Pacific, a byproduct of the seafood industry. This marine collagen has been verified by the non-GMO Project. Created by Mark Sisson of MarksDailyApple.com, these collagen peptides are non-GMO, free of dairy, whey, soy, and gluten. They undergo rigorous heavy-metal testing to ensure the integrity and quality of their products. 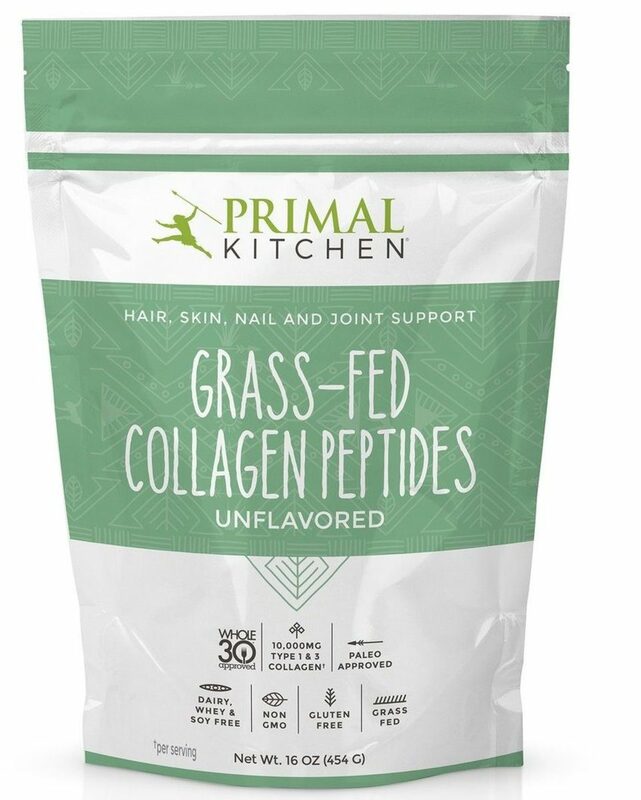 Primal Kitchen’s collagen comes from grass-fed cows in Brazil and Germany that are feeding on “off-forest land” to prevent destruction of the rainforest. “Our collagen supplier has signed the G-4 agreement that was initiated by Greenpeace to ensure that no new rainforest impact is created based on intensive monitoring and requirements of the G-4 agreement,” says Morgan Buehler, Co-Founder and COO of Primal Kitchen. Sparkle contains Verisol Bioactive Collagen Peptides—a trademarked collagen peptide manufactured in Germany by Gelita. Verisol is one of the most researched collagen peptides. Laboratory tests have confirmed Verisol’s effectiveness in treating and preventing brittle nails and reducing wrinkles. 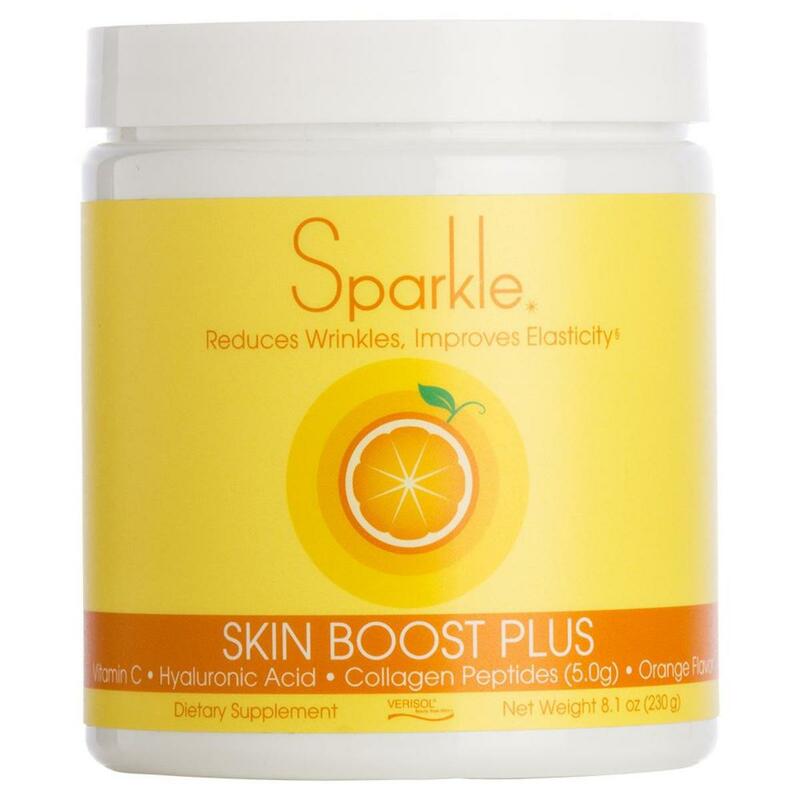 Sparkle also includes vitamin C and hyaluronic acid. The product is manufactured in the U.S. and contains no major allergens. 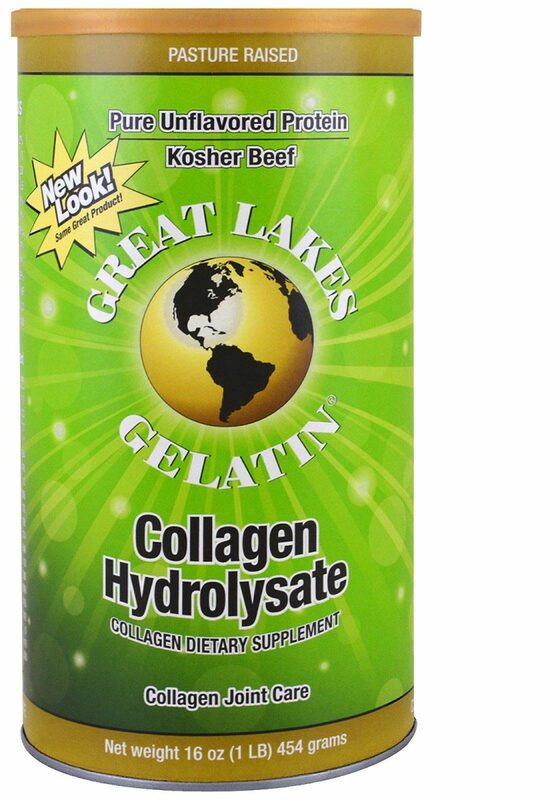 This supplement is manufactured by Great Lakes Gelatin, located in Grayslake, Illinois. Great Lakes uses beef collagen from grass-fed cattle sourced from Argentina and Brazil. The conditions under which the cattle are raised fit standards for the American Grassfed Association. Great Lakes products do not contain any major allergens. They are also certified kosher. An analysis ordered by Great Lakes found an absence of 322 chemicals commonly found in agriculture. Zint is located in New Hampton, New York, and their products are packaged and distributed in the United States. 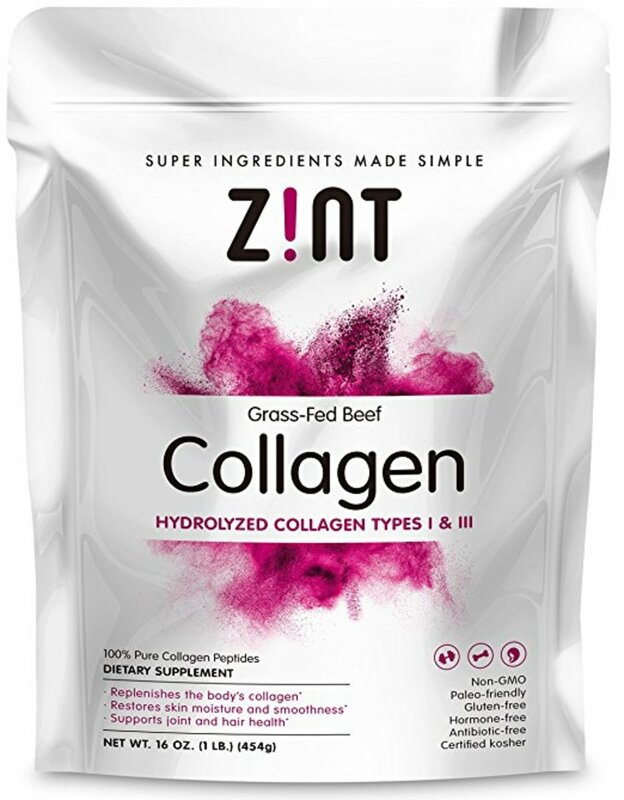 Zint’s collagen has several certifications from BioChecked. They have earned BioChecked’s Non-Genetically Engineered certification, as well Grass-Fed Beef and Gluten-Free certifications. Zint is also free of all major food allergens. Zint carries both bovine and marine collagen, and their marine collagen has been verified by the non-GMO Project. Zint’s cattle are sourced from free-range ranches in Brazil, Argentina and Australia. 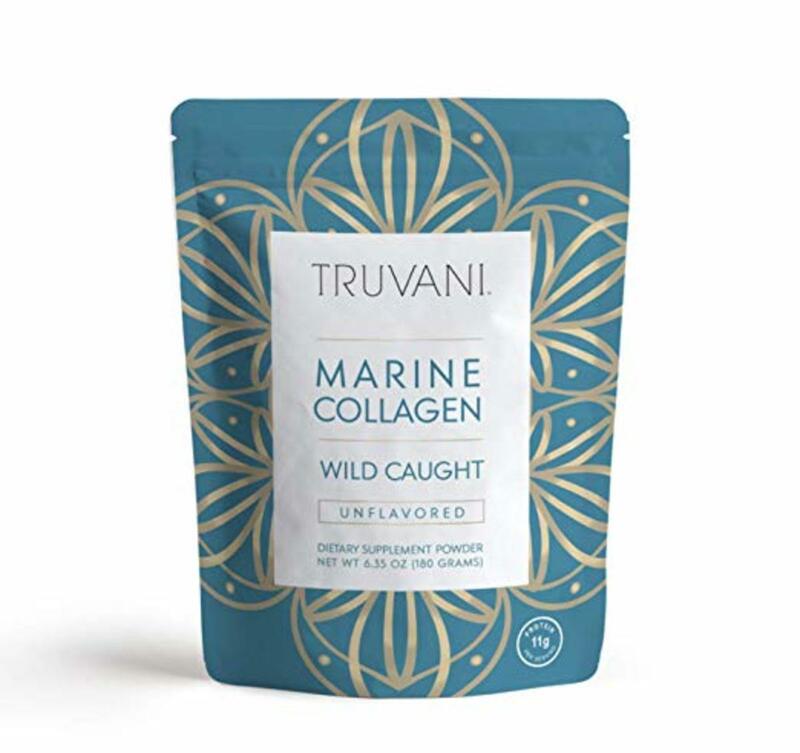 For those pescatarians out there, Truvani Marine Collagen is a new product that’s getting rave reviews. It’s sourced from wild caught fish and that’s it. Fish collagen is similar to cow collagen and is just as easy to digest. It has almost no flavor so it won’t add a fishy taste to your smoothies, juices or even in your morning coffee. The fish are sourced from Norway and because they aren’t farm raised, you can be sure you won’t be ingesting any pesky chemicals or pesticides. GoopGenes Marine Collagen Superpowder is another good option. It’s designed to be mixed with water and has a vanilla flavor that’s not fishy at all. Made with wild caught Alaskan pollock collagen peptides, they’re a great source of collagen especially if you’re a pescatarian. This product also boasts two more skin loving ingredients astaxanthin and ceramides that may help improve skin moisture, and elasticity. 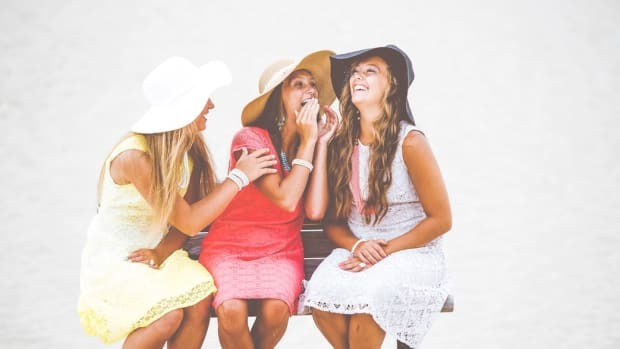 If you&apos;re not familiar with astaxanthin, you can read more about astaxanthin&apos;s potentially potent skin benefits, particularly for women over the age of 40. 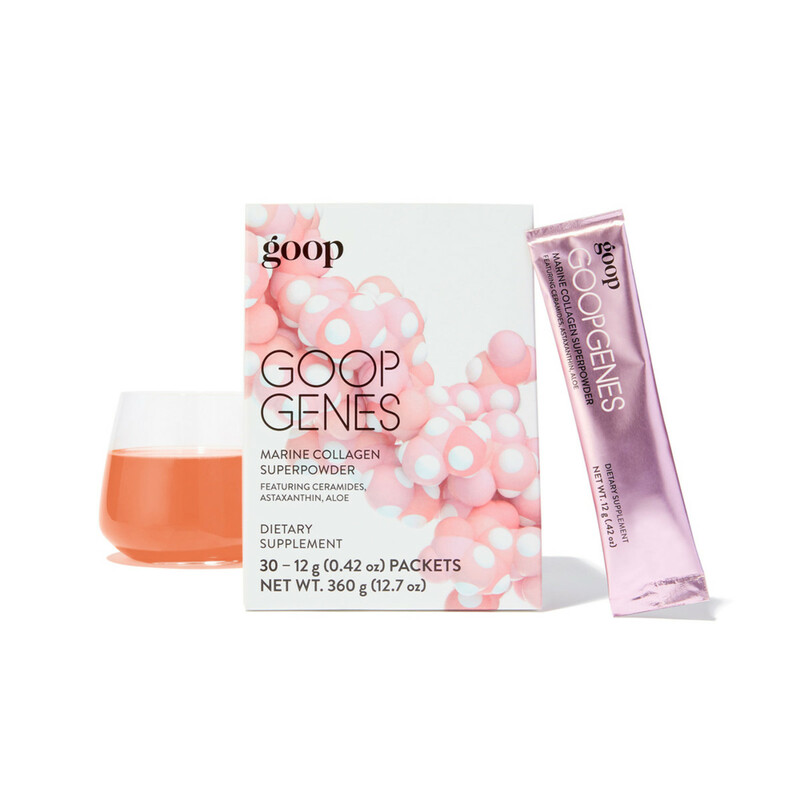 Goop’s Kalumi Marine Collagen bars are perfect for those of us that travel for work but still want to enjoy the best beauty food. These bars come in three delicious flavors: Sweetie Pie, Lemon Love, and Cocoa Kiss. They also include 12 grams of marine collagen and are free of gluten, dairy, and GMOs. What better way to snack the day away? 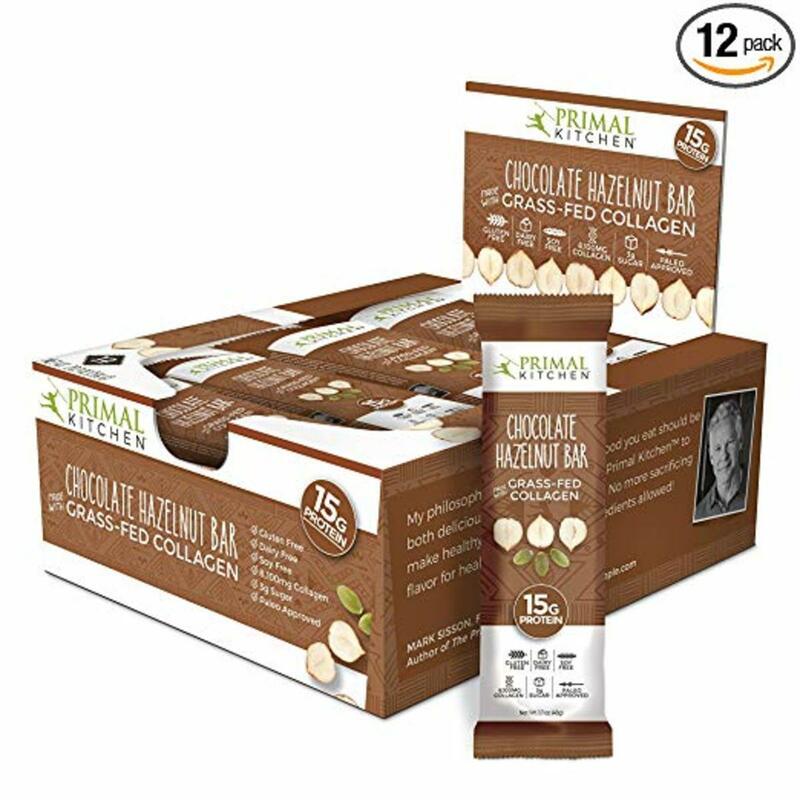 Primal Kitchen makes a convenient bar and comes in in a yummy chocolate hazelnut flavor and they’re loaded with 15 grams of collagen protein. 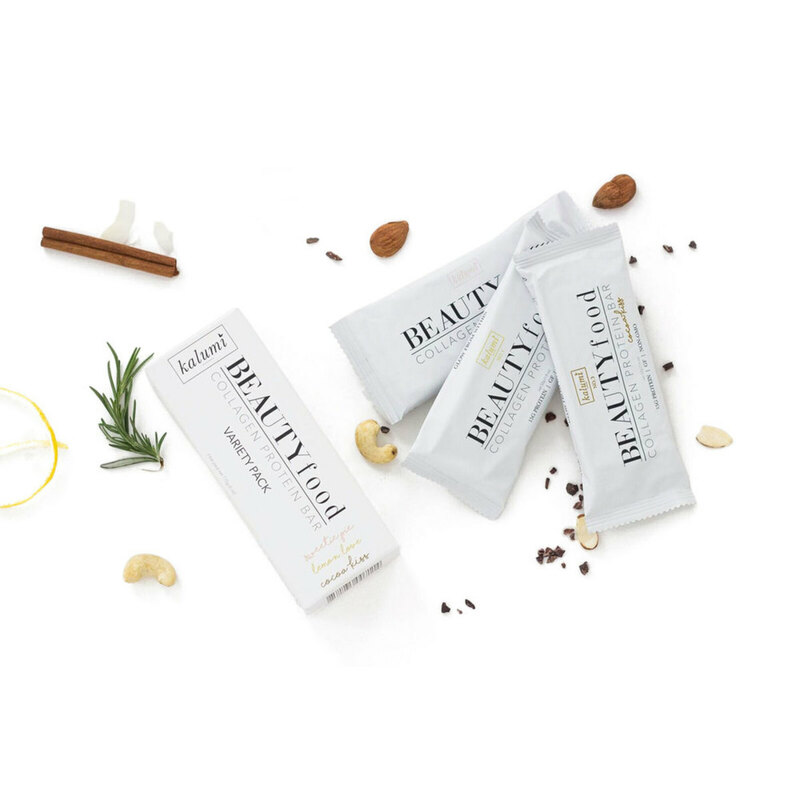 The bars are made with grass fed collagen to support connective tissue, skin, hair, and nails. It’s a delicious snack packed with a beauty boost. 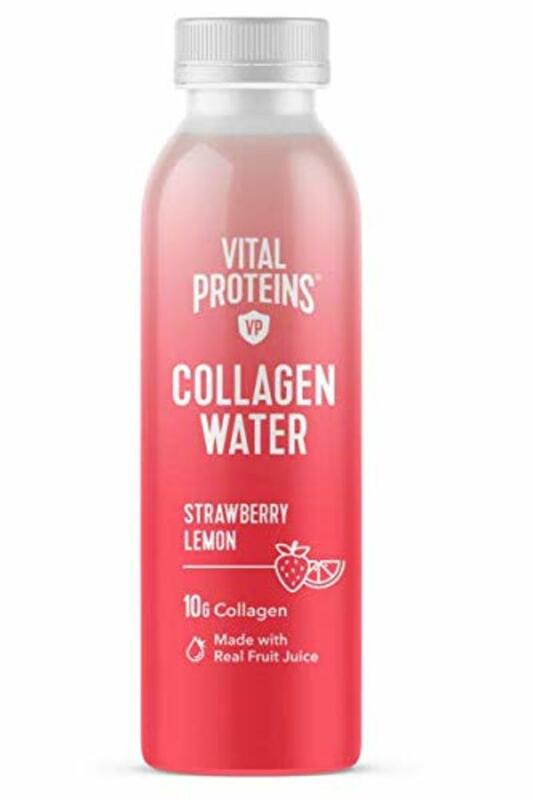 Each serving of this convenient bottled collagen water from Vital Proteins contains 10 grams of collagen and only one gram of sugar from real fruit sources. It’s a delicious way to enjoy your daily dose of collagen. This guide was updated on March 27, 2019 with product updates and recommendations.